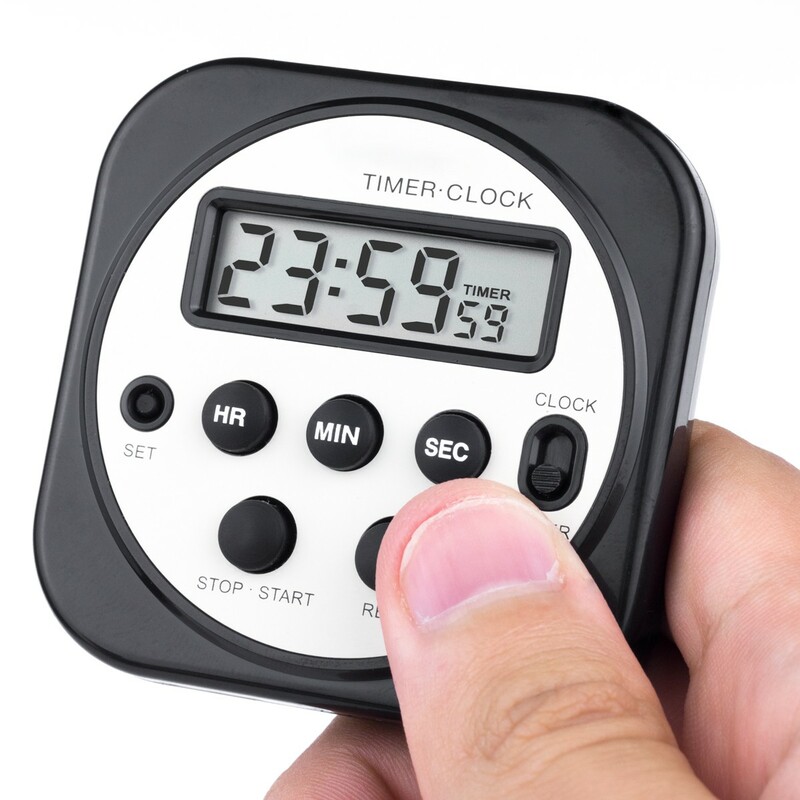 Timer remembers the last time set, counts down, alarms, and counts up. Use it to count down/up from 24 hours to 1 second in increments of 1 second with Quartz-crystal 0.01% accuracy. 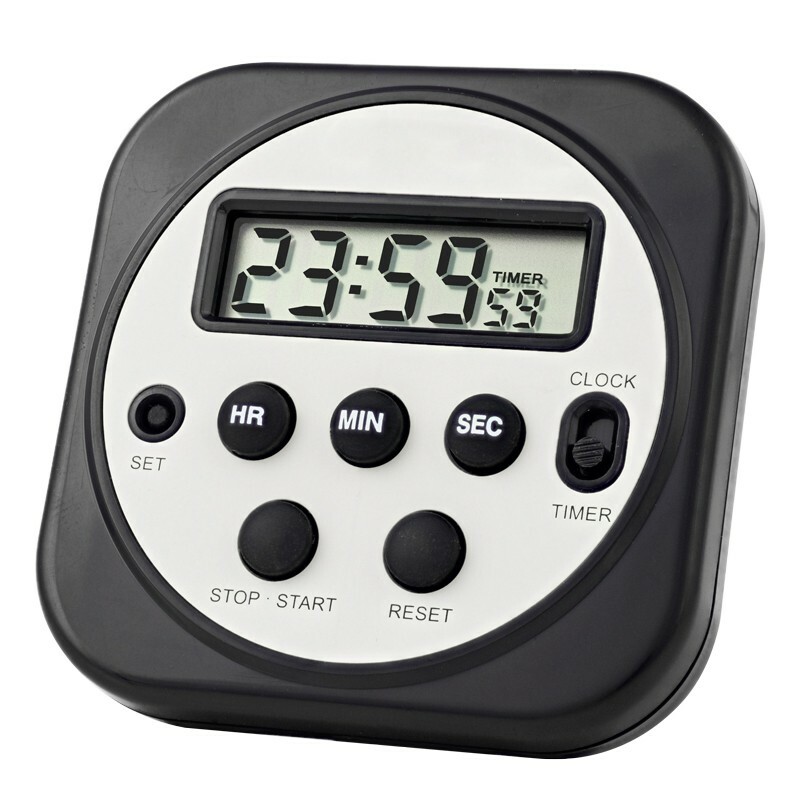 Timer signals duration of virtually every lab test, including drying, incubating, heating, and cooling times. Unit pays for itself by saving just one missed test result. 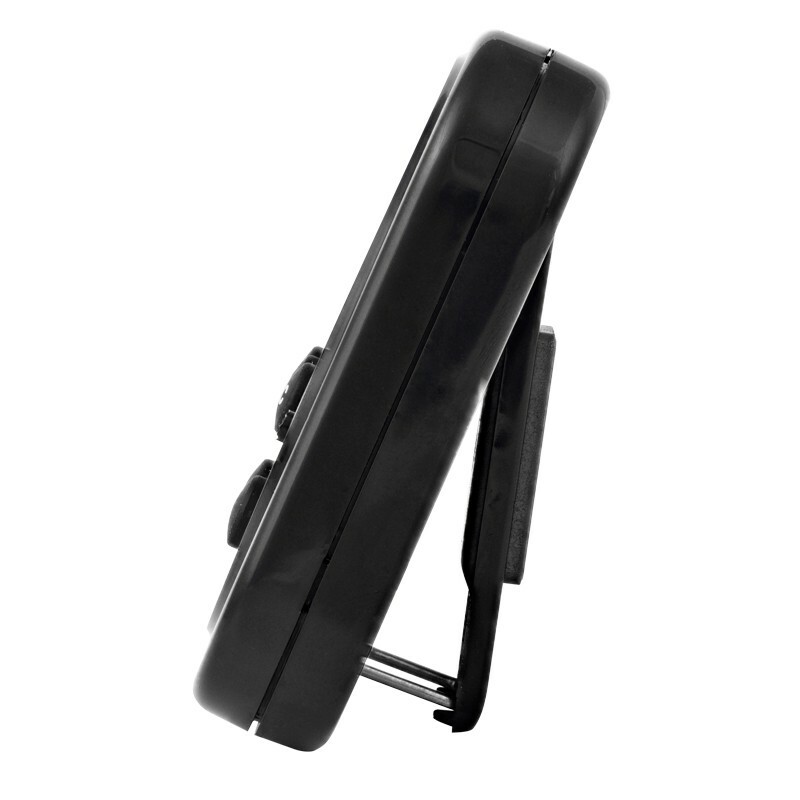 The perfect unit to dedicate to a specific test or instrument. Digits are 1/3-inch-high for ease in viewing from 8 feet away. Memory timer recalls hours, minutes, and seconds. Unique thru-zero feature displays the amount of time which has elapsed since the alarm has been activated. A time-out mode stops the timer for off periods in both up and down timing. 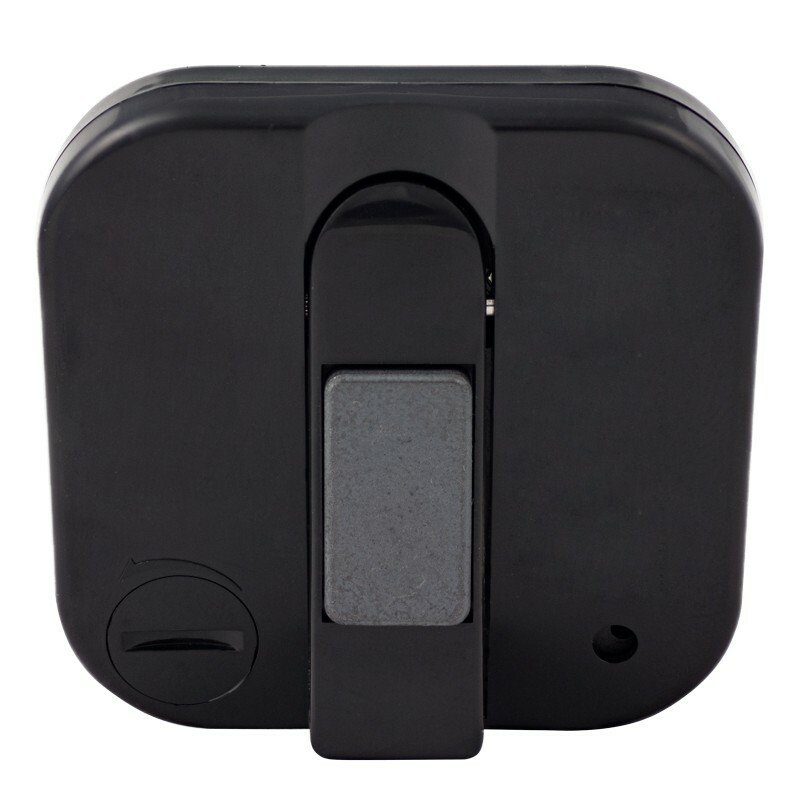 The loud beeping alarm may be turned off manually or is silenced automatically after 1 minute.